Here is a new production from CaptainsVoyage Film Studio's ..... a gathering of time-lapse films from both Tidefjell and Korsfjord... make sure you watch the clip full screen, full 1080p HD for the best effect. PS: Thank you so very much for watching and sharing. Here is a new production from CaptainsVoyage Film Studio's . Thanks, and don't think much about the length of this thread. Followed it since the start, and just seen your resent movie from "Tidefjell" and your own "Korsfjord". Great job, nice watching!!! And you know me; I want this thread to last for ever, into eternity...!!! (Look forward to springtime, with those fantastic sunrises). 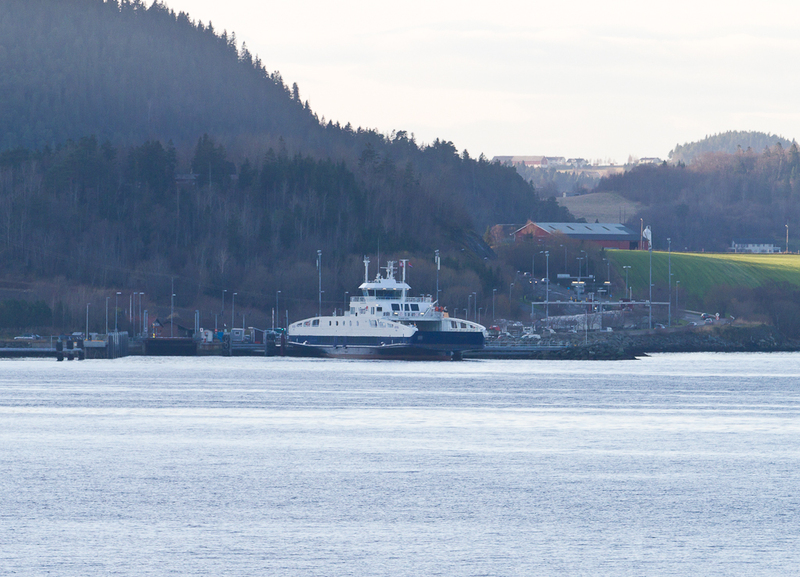 I shot the "Tidefjell" about 2 weeks ago, when I was her Captain in the ansence of Korsfjord. The Korsfjord scenes were done as late as yesterday. PS: I use iMOVIE from Apple to edit the movies and a Go Pro HD camera to shoot the movies. Eternity is an awfully long time, but I will try to keep it "alive" as long as I still work there. I have still some hours sleep missing since our trip. Oh, Ralf.... thank you so much for making me smile a little extra this afternoon. I have a couple of more ideas I would like to do with the camera, but I think I have done enough of them from the corssing itself. I have been planning on doing one from ashore on Flakk sometime during my vacation, and from top of the main mast on board as well. It is interesting for me, how much you together balance the ferry while loading and sending the cars and trucks to specified lanes. 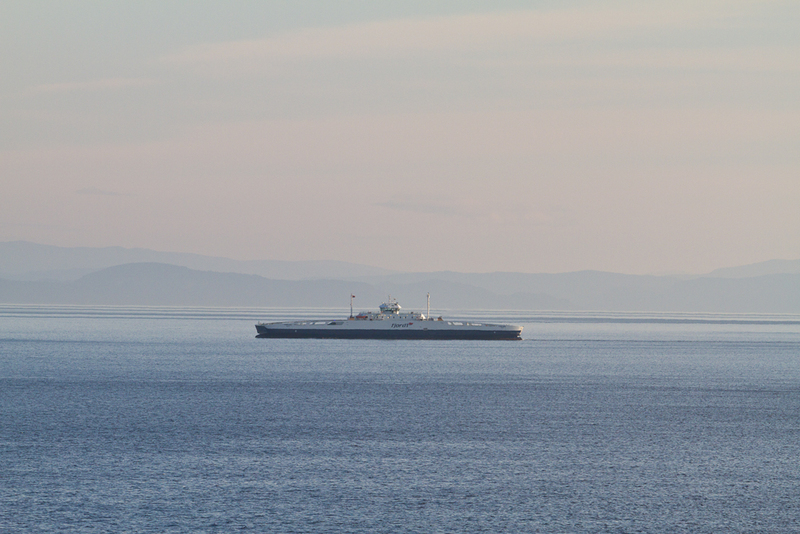 Or is it more or less unimportant and you will trim the ferry with the ballast tanks? I saw a nice video game on the island of Texel years ago, where you had the assignment to load the TESO-ferries in a way that they are nicely balanced. Interesting game. Another important anniversary TODAY for Korsfjord!...the arrival in Norway!...though it hardly seems like a year since I was standing on the quay in a snowy and very cold Molde clutching a welcome Molde rose! I can scarcely believe that a whole year has gone by since we were following that enthralling journey from Gdansk. If asked, I would have said - oh..... sometime earlier this year! Time goes just too quickly. Korsfjord makes yet another crossing. Last edited by Tommi; November 13th, 2011, 00:24. Thank you also for remembering that cold winter night in Molde when we arrived: I recall the frozen souls of Lady C and Sterkoder on the dock that very cold evening. The first one is a very nice sunSET (? ), so impressive colors there. The second one almost reminds me of some ship simulator software, it almost feels a bit out-of-this-world.